Pokémon Go has not had a subtle launch. First launched in the US just a few short weeks ago, it has been followed by a tidal wave of news stories, editorials, and opinions. So what is Pokémon Go? In essence, it takes the core idea of a Pokémon game, catching monsters and making them fight for your own personal gain, and puts it into the real world. Pokémon are no longer constrained within your Nintendo games consoles, but instead appear on your phone in random locations, and you’ll have to walk to catch them all. Pokémon are scattered all over the world, and moving is the only way to get them. Once you are within range of a Pokémon it will appear on your screen and you may attempt catch it by throwing pokéballs at it. The stronger the Pokémon, the more likely it is to break free, however. With powerful Pokémon you can take over gyms which can earn you resources to make your Pokémon more powerful, and…well that’s the game. OK, there’s a little more, but let me tell you about how the game is making money, first. 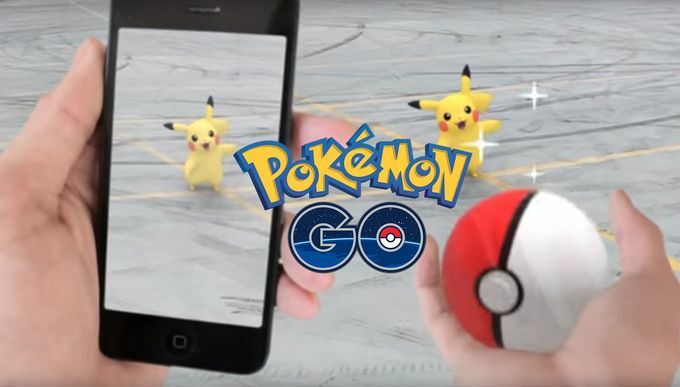 See, Pokémon Go is free to download and play – however your resources are limited. You start with a number of pokéballs, and if you run out you won’t be able to catch more Pokémon. Once you are able to fight at gyms you’ll need potions and revives to keep your Pokémon healthy. There are two ways to gather these resources – either by walking past pokéstops, which give a small number of these resources every 5 minutes or so, or simply to pay real money for them. As much as I detest free to play as it usually means a game has tricks that will soon force you to cough up money or be forever behind, Pokémon Go does the model well. In the space of a 10 minute walk I managed to gather enough resources to keep me going for a few days; the game is generous enough with its resources that you don’t feel like you are being forced to pay to play the game as it should be played. I love how the pokéstops and gyms are littered throughout the real world too – given the curious method developer Niantic used to create them, you’ll almost never see these valuable stops at chain shops or pointless locations, rather you’ll find them at individual stores, museums, pieces of art, and locations of interest to the local area. In my area there is one at the community centre, one at a local independent café, one on a cycle path, and one at the local museum. As you have to visit the location to get the benefits, however briefly, this encourages people to go to places they otherwise might not. This game is remarkably effective at getting people moving. I have personally gone on plenty of walks purely for the attraction of this game, and I know many others have done the same. Niantic have taken the addictive nature of catching Pokémon and transposed it into the real world in such a way as to encourage exercise in many different people. Walking down the street I see many people playing it, at all times of day or night. I also love what is has done for people less often served in the gaming community. Countless stories are spreading about children with social issues or mental disabilities finding a way to socialise through this game, and others about people with anxiety finding therapy in hunting for Pokémon. I even know of someone who recently went through SRS, a painful surgery that seriously limits movement for a long time after – by using this game, she is taking short but frequent walks and expediting her road to recovery. You’ll notice I’ve not said much about the game itself. That is, frankly, because there is very little to the game – you walk, collect Pokémon, evolve those Pokémon into bigger Pokémon, and fight with them at gyms for prizes and recognition. The game is, very much, about how it is played and enjoyed, and not about the actual content of the game. There are, however, legitimate problems with the game too. Since launch, the game has been extremely buggy to varying degrees – some days, especially early on, I simply couldn’t open the game as the servers had crashed. Occasionally gyms are simply invincible, making fighting them a waste of time and resources. Right now I cannot tell which Pokémon are nearby, as the simplistic tracking system within the game is broken. But I struggle to care. Because while the game itself may work less, the long and short of it is that I am not playing the game for the game itself. I am going on walks with friends, in which one of us will alert the others when a rare Pokémon is nearby. I have explored areas of my town that I otherwise never would have, and have discovered hidden beauties that I would have never otherwise seen, had I not been hunting Pokémon. That is the draw for me. Not the simplistic, buggy game that was built, but the wonderful experience that was delivered.